> a derivative work:​ a new work with many recognizable elements of the original. This resource provides quick tips for drawing from photos, and explains what you should take into account when using drawings to illustrate Wikipedia. 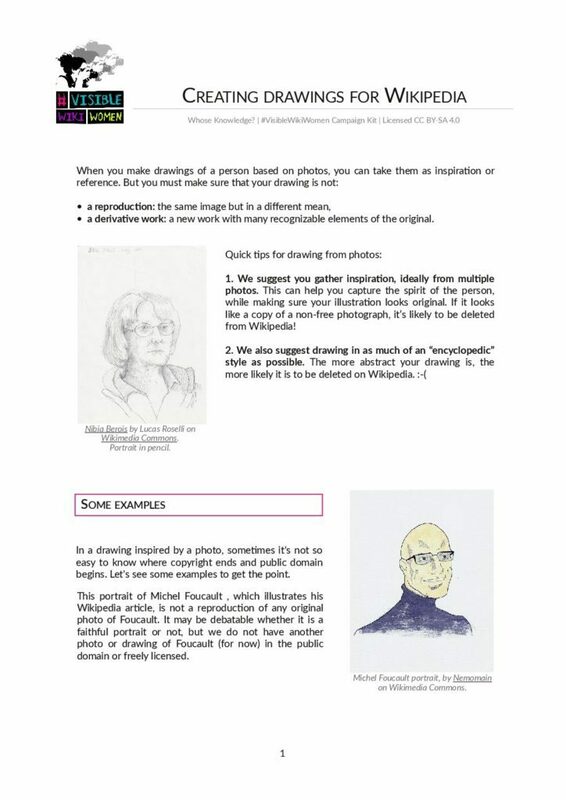 “Creating drawings for Wikipedia” is part of the VisibleWikiWomen Campaign Kit.